Things were obviously getting a little too boring around Wall Street for Carl Icahn. The billionaire investor and founder of Icahn Enterprises decided to dredge up one of his old feuds on Thursday. He told CNBC that Pershing Square’s Bill Ackman was “dead wrong” in his short position in nutritional supplement firm Herbalife. Herbalife’s stock is up almost 110% since Bill Ackman declared before all of Wall Street that he had taken a short position against the company in December 2012. It was just one of many positions that have turned against Ackman over the last year and change. In 2015, his hedge fund was down 20% for the year. 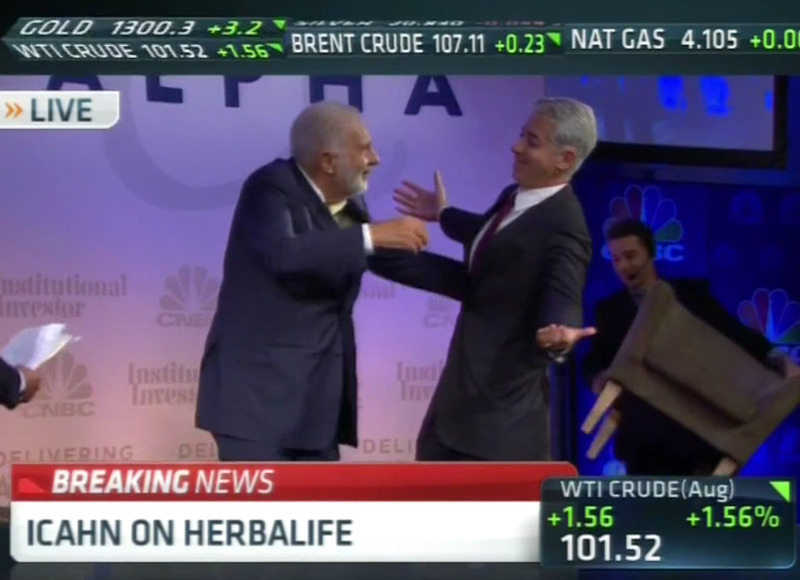 Ackman and Icahn have been feuding far longer than that though. The two fell out over a deal (see: “schmuck insurance”) after Ackman blew up his first hedge fund, Gotham Partners, in 2001. They sued each other for the next 10 years and famously couldn’t even be in the same restaurant together. Their feud ramped up again when Ackman started his crusade against Herbalife, which is a multi-level marketing firm that Ackman accused of being a pyramid scheme. He was very public about the position, giving multiple presentations slamming the company and kicking the whole thing off with a 342 slide deck at a special Sohn Conference event in New York City. “I’m telling you he’s like a crybaby in the schoolyard. I went to a tough school in Queens you know and they used to beat up the little Jewish boys. He was like one of the little Jewish boys crying that the world is taking advantage of him…” Icahn said at the time. It all ended two years later with what was, without question, the most awkward hug in Wall Street history. To be fair, Icahn isn’t having the greatest year either. 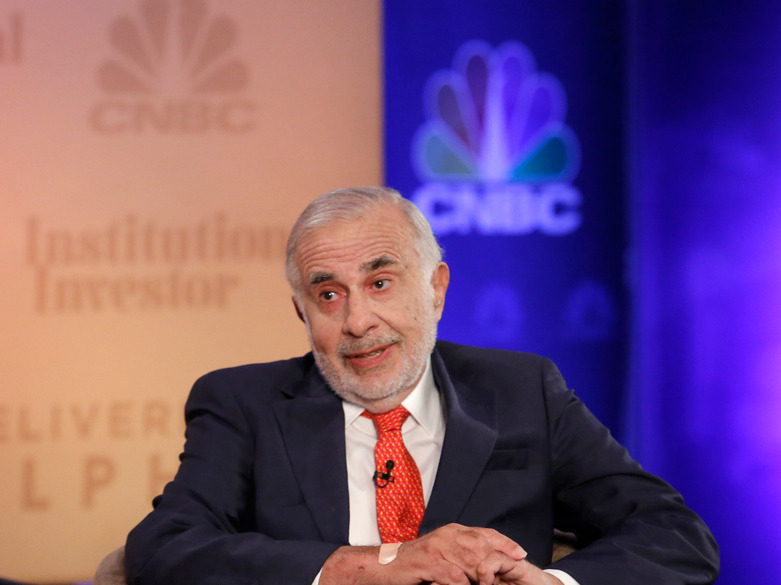 In May Standard & Poors cut Icahn Enterprises’ credit rating to junk. He’s lost big on positions in energy stocks. “We estimate that after quarter-end through May 13, 2016, IEP’s large publicly traded positions declined by approximately $600 million, which would result in an LTV ratio of about 53%, holding all else equal,” S&P’s release said. On the other hand, things have been a little boring around here.